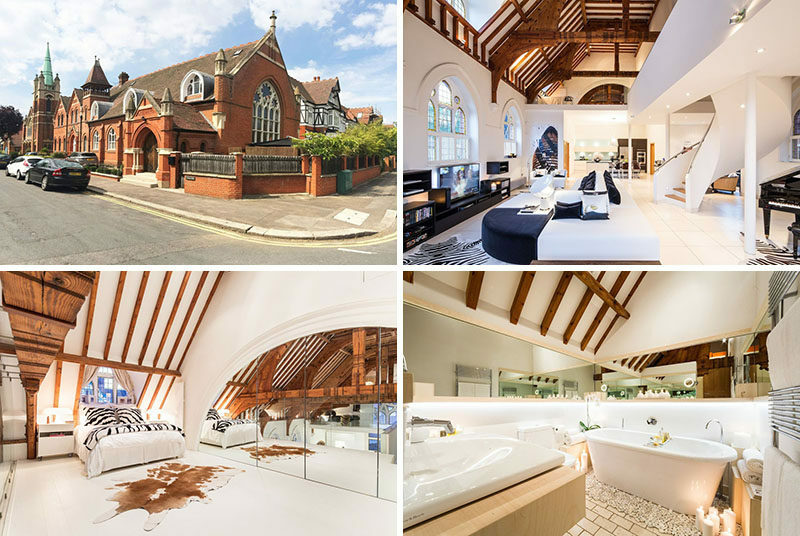 Gianna Camilotti Interiors have transformed a Victorian church in London, England, that has a bright and open interior, and is now available as a rental property. 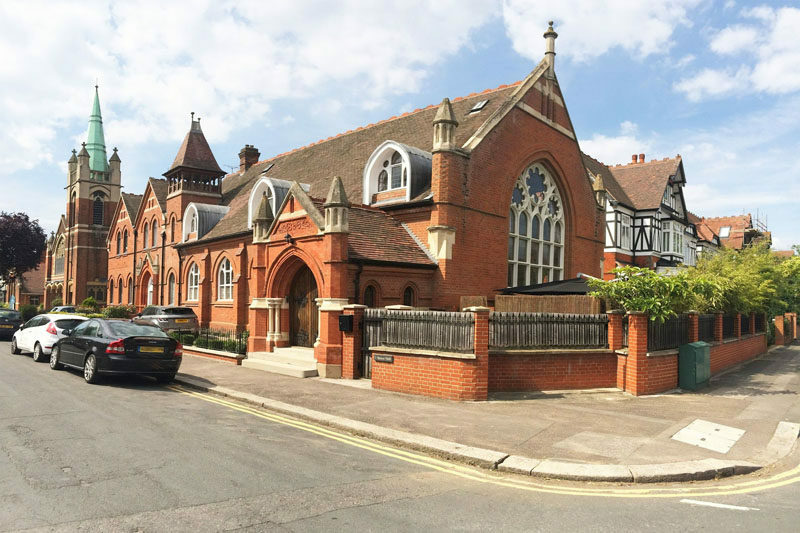 The interior of the Grade II listed property has retained original features like the beamed high ceiling and stained glass windows, and combined them with contemporary furnishings and bright white walls and flooring. The open plan interior has a small sitting area next to a larger double-sided couch. 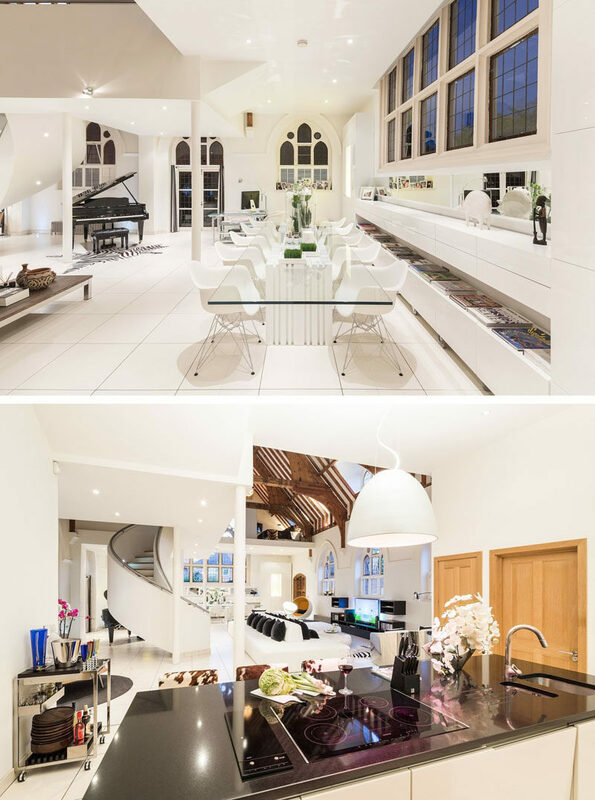 In the dining room, there’s a glass dining table with room for 12 people, and the kitchen has an island with a cooktop, sink and dark countertop. 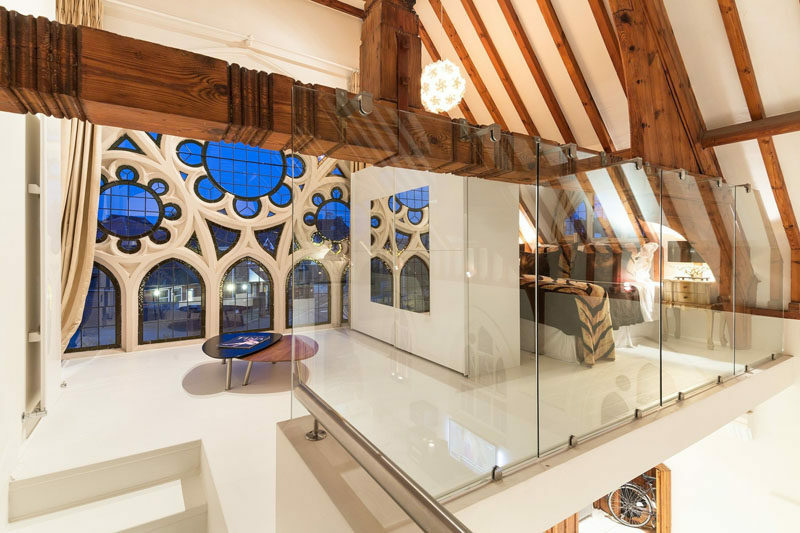 Upstairs and at one end of the renovated church is a bedroom that overlooks the living area below and takes advantage of the light from the original windows. 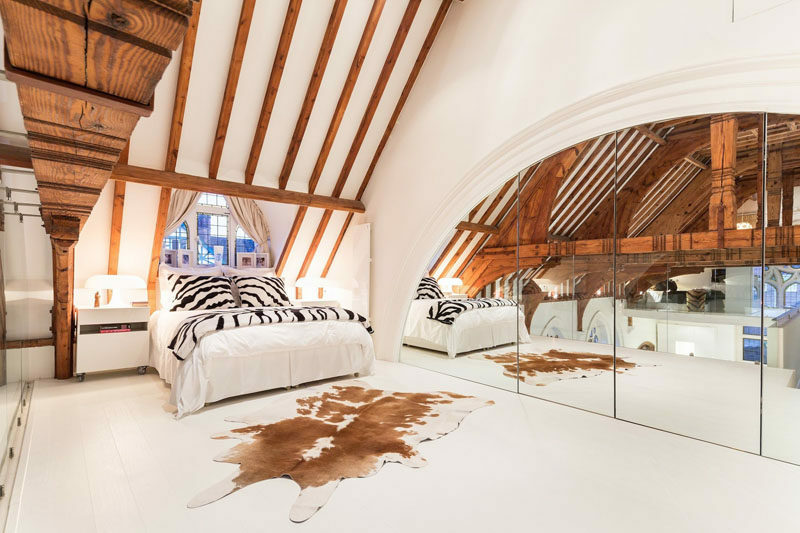 At the opposite end and above the kitchen is a second bedroom that features a wall of mirrors. 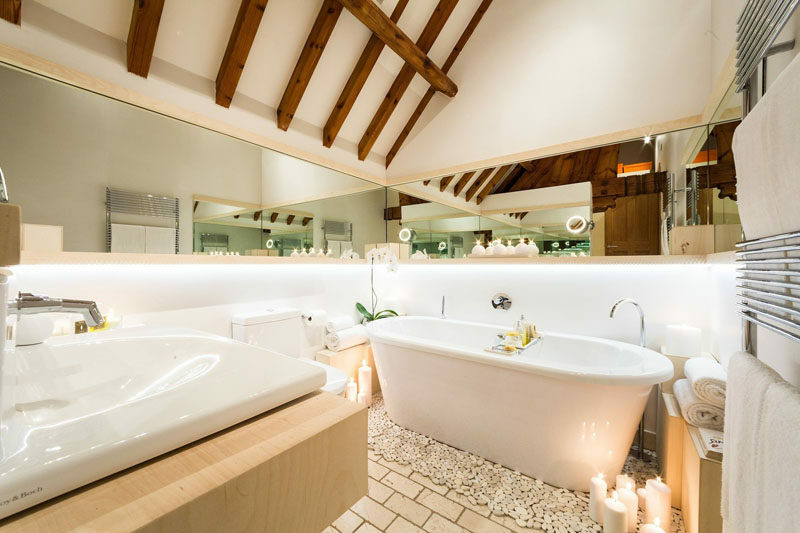 In this bathroom, a freestanding tub sits below a lofted ceiling, and a mirror that wraps around the wall makes the room feel larger. 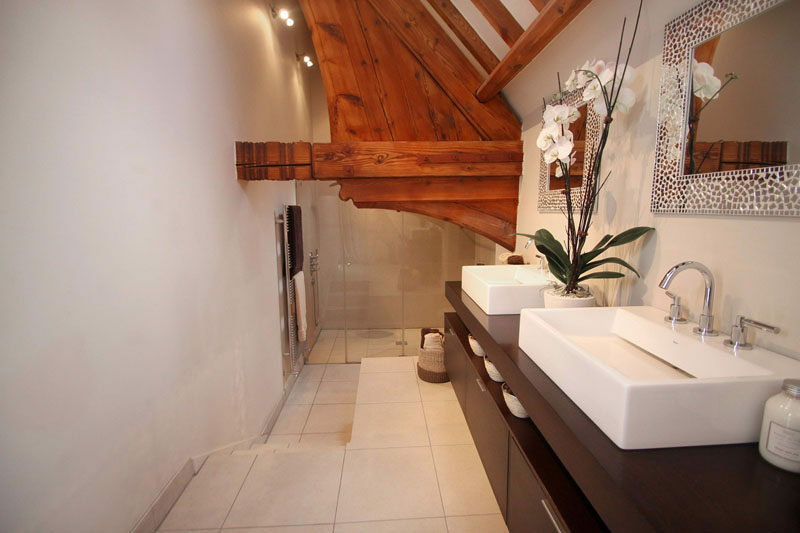 In another bathroom, the shower is stepped down from the vanity and original wood elements create a unique accent feature. 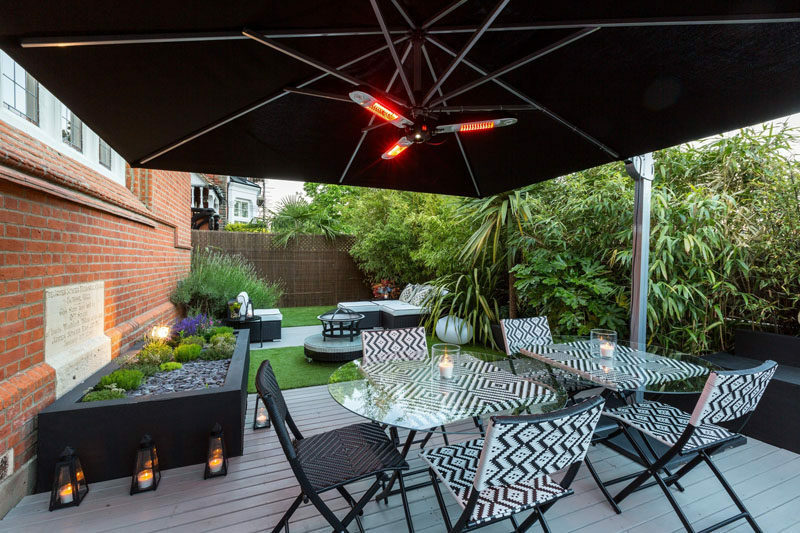 Outside, there’s a landscaped outdoor space with a patio and lounge.